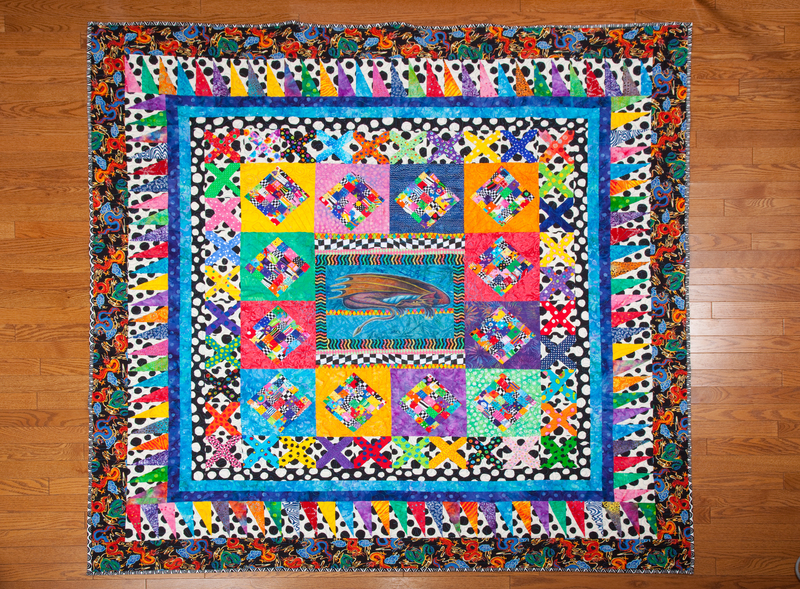 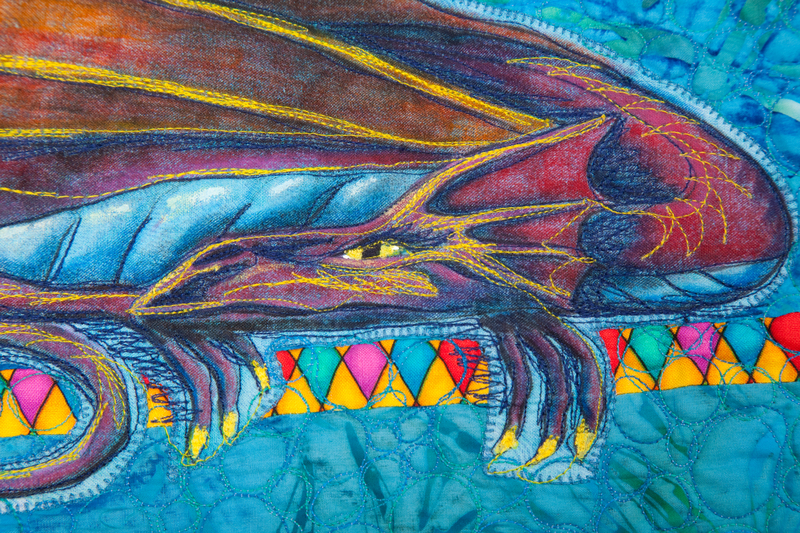 My friend Sondra not only does all of the quilting for my quilt tops, but she is also an amazing artist. 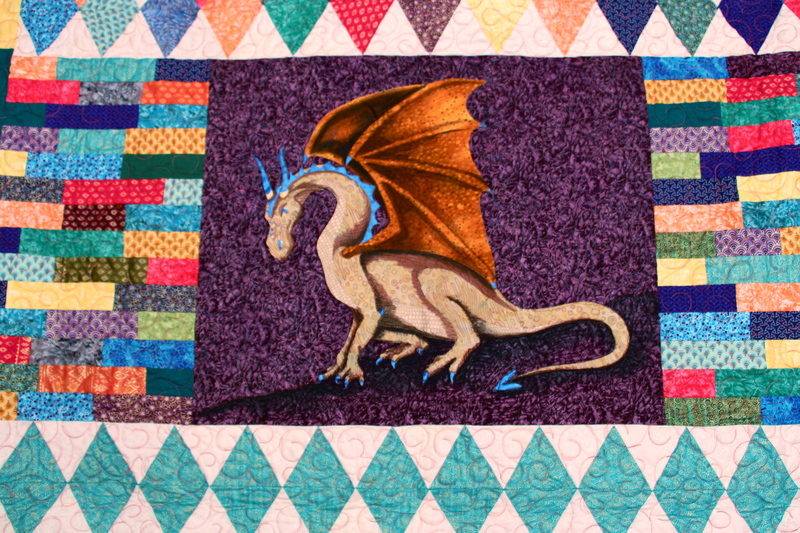 Her awesome dragon pieces are among my very favorites. 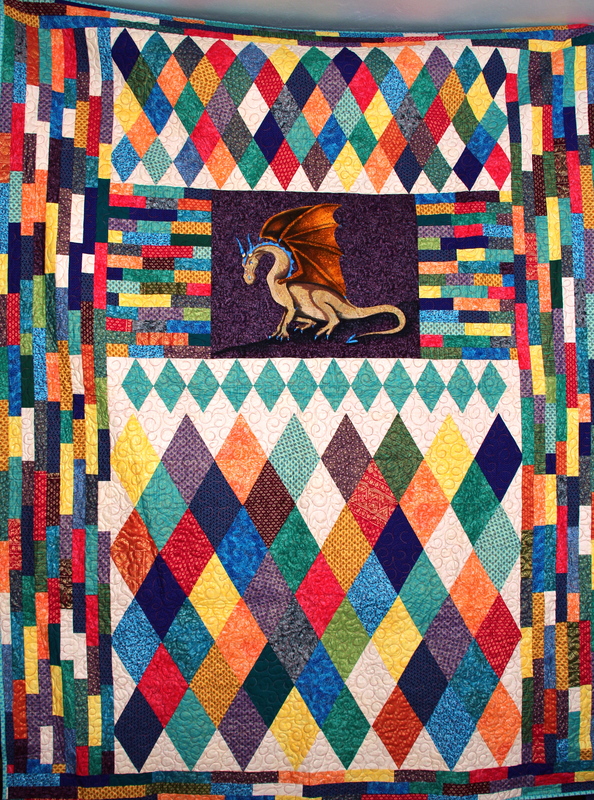 On a couple of occasions, she has designed a dragon and then I take over from there and make it a quilt to live in.